New experimental observations often require fresh concepts for their interpretation, and at times even changes of paradigms. This is the situation with the recent realization that circulating endothelial progenitor cells may have an important contribution to the maintenance and formation of new endothelium in adult organisms, in a surprisingly wide variety of situations. The classical paradigm of angiogenesis, centered on the notion of "sprouting" can hardly accommodate them. It was previously realized that it needs to be "stretched out" to include alternative mechanisms of microvascular development, such as intussusception and capillary fusion. However, a major debate where to reconsider the sprouting mechanism, and to promote alternative views, did not take place yet. The number of publications in this field increased exponentially in the last years. Nevertheless, the concepts and notions so much needed to describe and to explain the new observations are still scarce, and heterogeneous. 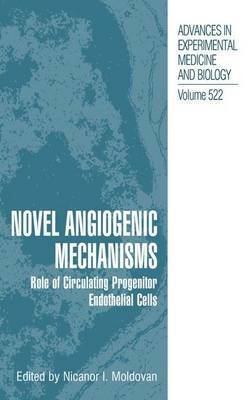 Within the larger community dedicated to the study of angiogenesis, the researchers involved in investigation of circulating precursor endothelial cells biology represent a subgroup with specific preoccupations and opinions. Many of them did not meet each other so far, and no major scientific events have been dedicated before exclusively to their interests. For the above reasons, the idea to organize a symposium addressing the new developments in angiogenesis research was received with enthusiasm by all those involved in its preparation.